When special passengers are on board, be sure and take into consideration extraordinary loads, such as the weight of an electric wheelchair or mobility scooter. 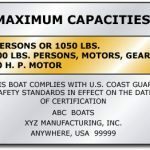 These special needs items can add significant weight to your boat’s load which can affect trim and handling. 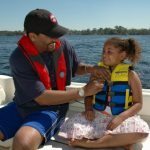 Teach a child or friend how to sail, or introduce them to boating. Check your flares, fire extinguisher and other safely equipment to be certain it’s in good condition and up-to-date. 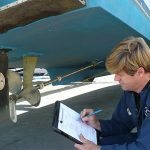 The U.S. Coast Guard Auxiliary and U.S.
Power Squadrons offer free vessel safety checks that can help identify these or any other potential problems. The next time you go fishing, experiment with circle hooks. These fish-saving hooks will save an angler’s excitement of the catch for another day– or perhaps even for your own child. Familiarize yourself with an online weather service so it becomes a routine part of your pre-departure planning. Knowing potential conditions before you go makes float planning easier. 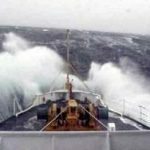 Fuel up your boat without spilling a drop overboard, and contain engine room drops and spills with bilge pads and socks. The cumulative effects of a little drop here and there can add up. Purchase and wear an inflatable life jacket. 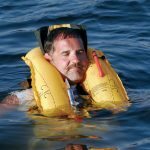 Being comfortable in your life saving, personal floatation device means you will use it. Tune your engine. An engine running at top performance can drastically reduce harmful exhaust or oil emissions and you’ll get more miles to the gallon. Set up some easy to identify, separate trash and recycling containers aboard. 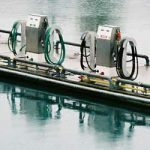 A readily available disposal system helps everyone keep trash out of the water. 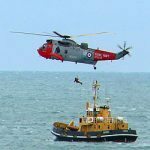 Save the alcohol for when you arrive safely back at the dock. Over half of all boating accidents and about a third of boating fatalities are alcohol related. Make a donation to your favorite educational or marine conservation group. In doing so, you will make a positive difference for every boater, and gain a great sense of personal satisfaction.